Rudders are in. They fit nicely… almost. Some small mod may be needed due to the bottom shape being a bit deformed. As you can see the team ended up building a ramp instead of digging a hole for the rudder mounting. 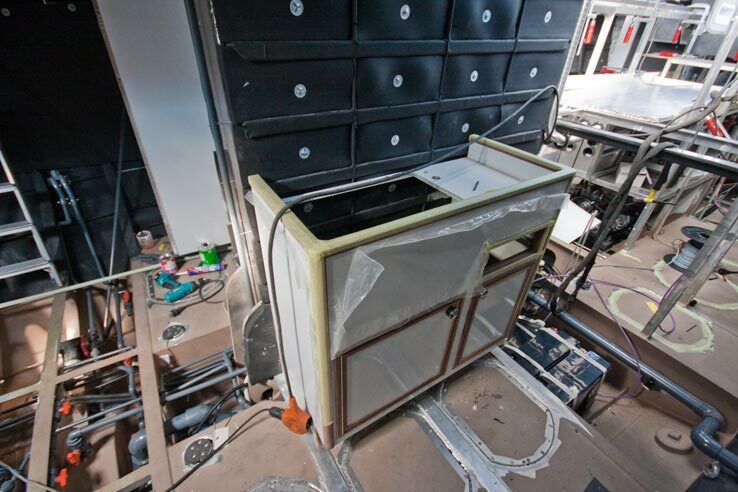 The first interior module has also been fixed in place, the famous galley sink. The picture below also shows a lot of the now completed water piping system, which is fully 100% plastic, without any brass valves or other bad metal parts.